KIEV, Ukraine -- While Ukraine’s sovereign debt problems may look similar to those of Greece, Ukraine is on its own path. The question is, the path to where? Despite the Ukrainian Foreign Ministry’s statements that Ukraine is moving toward full integration into the European Union , in many ways, from the economic perspective, the country seems to be drifting further away from its European neighbors. This is partially because of the strategy that the Ukrainian government has chosen. Just like in Greece’s case, Ukrainian debt problems have caused Standard and Poor to cut the country’s credit rating. Ukraine’s outlook was downgraded from stable to negative, while keeping the sovereign rating at B+. The S&P report states that Ukraine’s ratings are constrained by the government’s unwillingness to make further structural improvements to public finances. This happened after Ukraine asked the International Monetary Fund to delay $3 billion worth of bailout repayments by ten years, which did not make the IMF happy. IMF officials said that there is no mechanism to restructure or reschedule payments so no negotiations are possible. Similar to Greece, Ukraine doesn’t want to consider austerity measures necessary to reduce the budget deficit. For months, the IMF has been asking Ukraine to raise gas and electricity prices, but Ukrainian president Victor Yanukovych, who is already close to becoming persona-non-grata in Europe, doesn’t want to take such draconian measures ahead of the country’s parliamentary elections. Instead, he’s trying to renegotiate gas prices with Gazprom, Russia’s natural gas giant, on whose supplies Ukraine largely depends. Getting discounted gas from Russia doesn’t seem realistic, and some economists think it wouldn’t address Ukraine’s deeper issues. However, the Ukrainian government has a point: the IMF’s insistence on raising gas prices for households would severely affect Ukrainian citizens, who simply won’t be able to pay higher rates, and thus might cause even larger problems and unrest in the country. While Yanukovych might have his own agenda, with October elections looming, his position works for the average Ukrainian. In order to raise prices on utilities, the household incomes should be significantly increased, which is not going to happen in the foreseeable future. While S&P, the IMF, and world economists point to an economic decline in Ukraine, reports from the government sounds more upbeat. The Ukrainian Ministry of Finance said Ukraine repaid $575 million worth of debt to the IMF in February and its sovereign debt, including state guarantees, declined 0.5%. In terms of credit ratings, the government’s website is not in a hurry to list the latest changes. The S&P’s outlook has not been mentioned, and the recent rating from Fitch states “Positive Outlook, affirms at “B”. 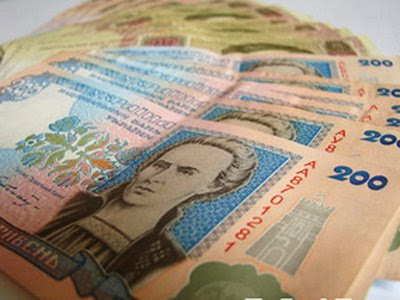 The Ukraine Central Bank cut refinancing rates as they say inflation slowed. Also, among other positive reports by Ukrainian media, there is news that Naftogaz, Ukrainian’s state oil and gas company, predicts a reduction in the price of Russian gas from $416 to $413 per thousand cubic meters in the forth quarter of this year. And, eventually, according to Reuter’s news reports, Ukraine aims at reaching $250 as a reasonable price. The talks over supplies might begin as soon as this May. Gas contracts with Russia have been a particularly sore spot for Ukraine and have become a key point in recent political games, affecting the country’s economy and political outlook. Yulia Tymoshenko, former prime-minister, was responsible for negotiating the contract terms in 2009 and was subsequently arrested last year for abuse of office during the deal. She is currently serving a seven-year prison sentence, despite Western outrage. The most recent development is that she has been publicly accused of treason against the state. Tymoshenko’s arguably mirrors the scandalous downfall of Lavrentij Beria in the 1950s when a former Chief of Soviet Security was accused of treason and being a British spy without proof, and eventually sentenced to death. Although, in Tymoshenko’s case, supporting evidence for “the signs of high treason” have been gathered by Inna Bogoslovskaya, the lawmaker leading the commission charged with investigating her. The only relationship that is still healthy is with the World Bank, but that connection may also be built on shaky ground and half-truths. A WB representative recently visited Ukraine and stated that the World Bank supports Ukrainian reforms. Those reforms, which Yanukovych promised when he was elected president in 2010, have not materialized. Not to mention, that according to Bloomber’s reports, economic grown this year slowed to 3.2% comparing to 5.2% last year, which was higher partially due to good harvest. A downgrading of the credit rating, simple inability of the government to conduct unnecessary, much-needed economic reforms, and unwillingness to meet the demands of the IMF – what could all this mean? While the government might be able to delay the financial crisis, economists see that public finances, long-term, are on an unsustainable path. Unlike Greece, Ukraine is not part of the EU, and no matter how bad things get in Ukraine, it won’t affect the European Union members in the same way Greece’s problems did – and it’s unlikely to receive much needed help. Even if Ukraine does default, Wall Street and European markets won’t discuss the matter as much as they do Greece and the IMF won’t rush to offer bailout packages. At the same time, Ukraine is a strategically important country with a large potential for economic growth but unfortunately its economic development is stuck in a rut. Most likely, it will manage to stay afloat, as it’s been doing over the past twenty years since gaining its independence from the Soviet Union. Ukraine is just figuring out its own path, navigating between Russia and Europe – and it might take longer that one might think.